Handy, versatile and oh so cool! 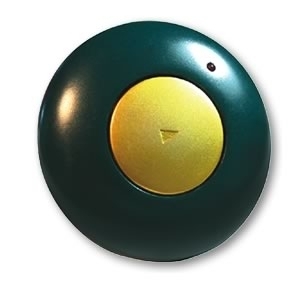 The new GoTalk Button records one 10-second message, and the large PLAY button ensures easy use. Because you do the recording, the message can be in any language, dialect or accent! It's compact size (about 2″ diameter) makes it easy to slip in your pocket. Or, use the built-in magnet to display on the fridge or any metal surface. Button battery included. Use several Buttons for multi-messages. Size: 2″ diameter. Weight: less than 1 oz.